With box pleats and concave bottoms, our Harvest Paper Drink Cups provide a sturdy drinking cup for any beverage or foodservice application. From a quick cup of water to serving small helpings of snacks like granola, these cups are up to the task. And since these cups are biodegradable and compostable, they are an earth friendly option for you to choose. 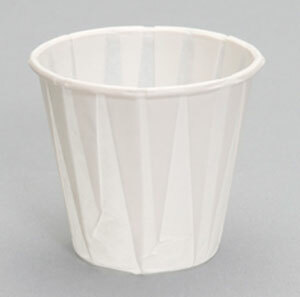 Find our 3, 3.5, 4 and 5 ounce pleated drinking cups below. 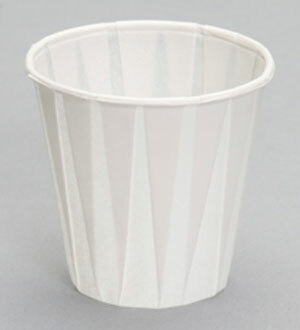 Learn more about our Harvest paper cups or request a FREE sample kit on any of our Harvest products today. Length: 26.000" Width: 13.000" Height: 14.130"
Length: 12.900" Width: 12.900" Height: 14.060"
Length: 14.280" Width: 14.280" Height: 15.180"